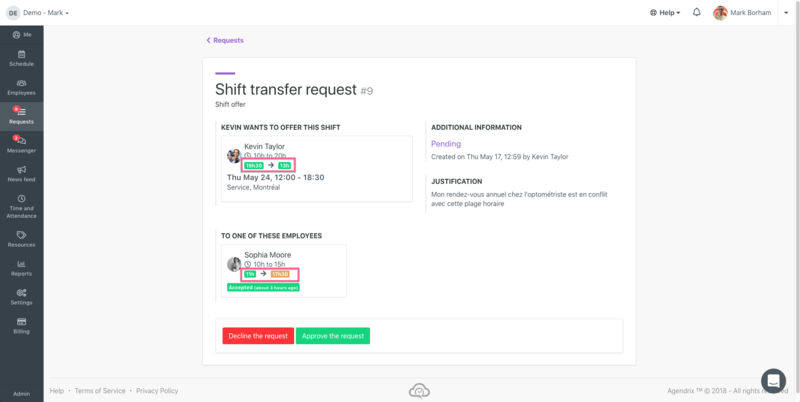 Transfer requests allow employees to easily find qualified and available coworkers when needed. Employees can trade shifts or offer a remplacement with another employees in the same position. You can consult all current requests in the Request menu. 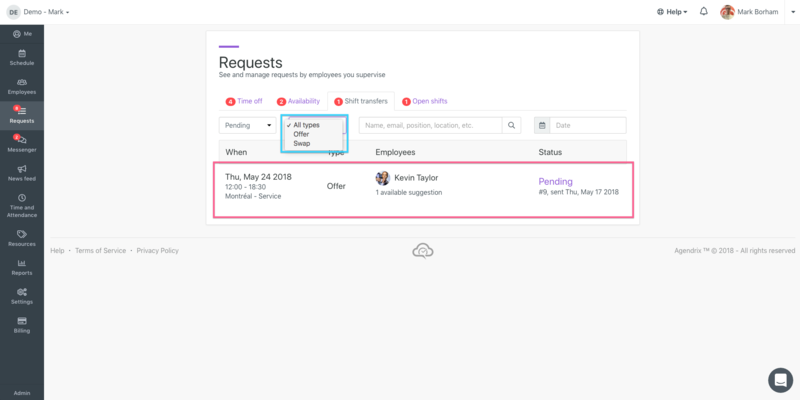 When you take action on a request (approve or refuse) employees will be alerted immediately and the schedule will be updated. You can only receive transfer requests after at least 1 employee has accepted to replace a colleague. In this example, Sophia accepted the offer from Kevin.